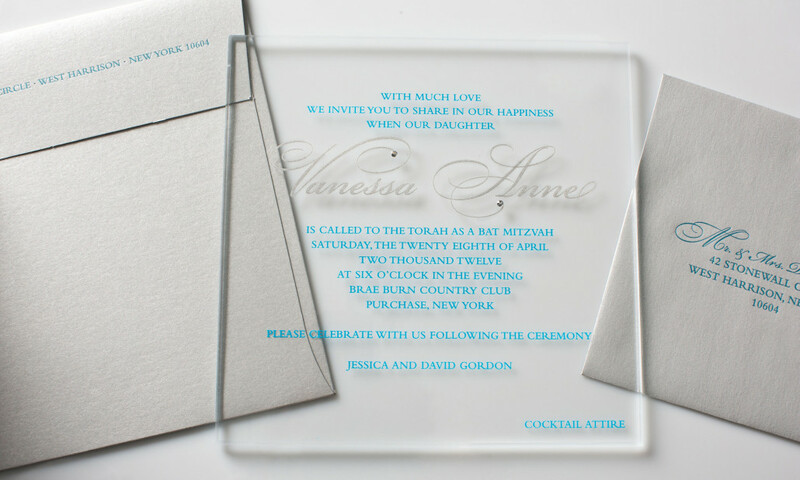 This classic feeling Bat Mitzvah invitation becomes modern when printed on clear acrylic. 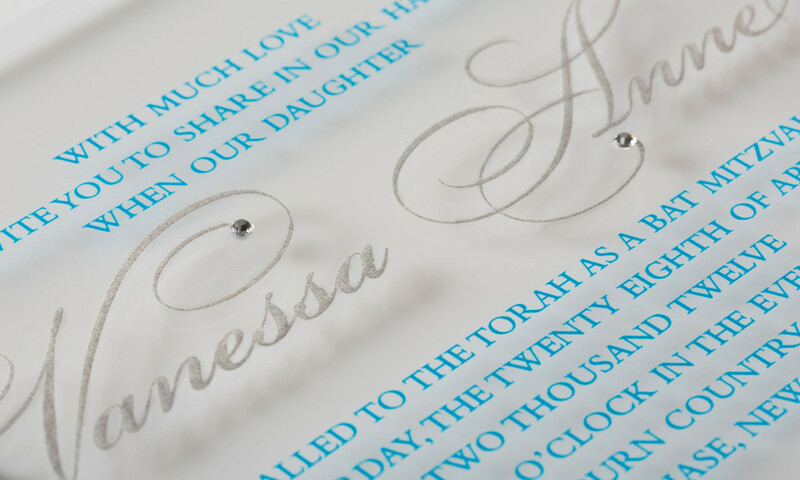 Diamond colored crystals add a glamour to the silver and teal printing. Shimmer silver outer envelopes and reply sets complete the look. All colors, papers and typography can the customized to match your style.